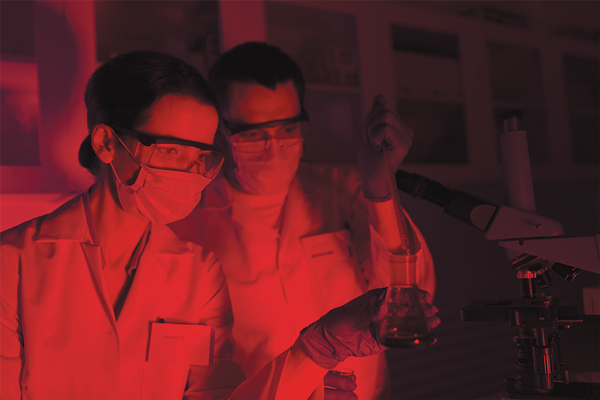 Red LED lighting is ideal for animal research laboratories. This new spectrum of light, 630nm, maintains sleep cycles for nocturnal animals such as mice and rats. Research facilities commonly use rodents for study, and therefore must address the issue of proper lighting for these nocturnal animals. Studies indicate that the timing and duration of light and dark cycles (called a photoperiod) influences the body weight and food intake of laboratory animals. It also can induce a shift in the circadian rhythms of blood pressure, heart rate and activity. Since red light is invisible to rodents (and to some other research animals), it is used at times when white light would disrupt activity cycles. Restricting the use of white light in vivariums allows research technicians to continue work, while at the same time preserving the animals’ natural circadian rhythms. This reduces stress and allows the animals to behave more naturally, which ultimately produces more reliable research results. The use of controlled dimming that mimics dawn and dusk, in addition to red vivarium lights, is preferable for researchers interested in the changes in animal behavior when animals are primarily active at night. Historically, the industry has used filters in cleanroom fixtures to produce the desired color. The use of white light and red light is then automated to assure conformity to the correct schedule. If a fixture must generate both white and red light, typically one lamp would be fitted with a red-filtered lamp sleeve and a separate circuit. However, the filter’s effectiveness degrades over time, allowing visible light in, which impairs the overall quality of the vivarium. Red LED vivarium lights have advantages that filters cannot provide. The use of 630nm red LEDs offer pure, consistent and controllable light intensity over time. The purity of red light does not diminish, even when light output has degraded. 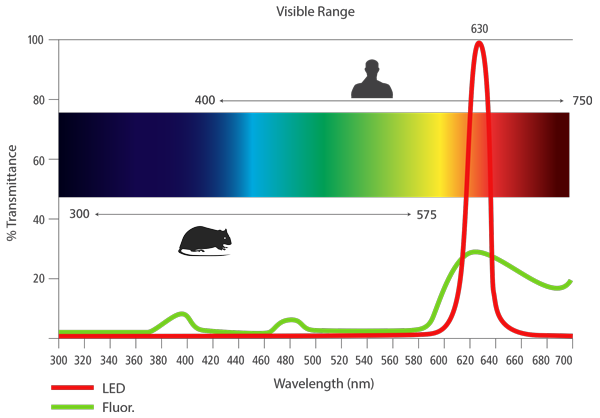 Unfiltered red LED light also allows for higher luminous flux and consequently higher illuminance levels on work surfaces, resulting in improved visibility and working conditions for research personnel in the animal research lab.